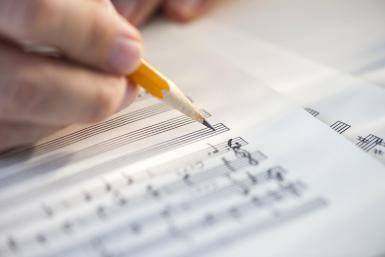 In the hot music I and many people gravitate to, there is a certain disdain for music written — tabulated as little signs — on lined pieces of paper. Real (wo)men don’t read charts. “Can you read?” goes the joke, “Yeah, but not enough to mess up my playing.” In the memories of some fans, Pure Jazz is a group of people somewhere jamming on a familiar tune — anything more complicated than that seems an impudent intrusion. Today’s homework — I am a college professor by profession, and the semester has begun, so put those smartphones away immediately, please — is to watch this glorious video twice, each time concentrating on a different aspect of its splendor. Once, as I think is usual, bask in the solos. Then, note how beautifully those solos are framed, encouraged, and sent off into improvisatory paradise by the arrangement. The arrangement, by the way, is by JAZZ LIVES’ hero, Jim Dapogny, who also doth bestride the mighty piano like a colossus. On to a related subject. I have just returned from the 2015 Allegheny Jazz Party, both tired and elated. All I will say is that my face now has new lines in it, but they are from smiling. With all respects to every other jazz-party organizer, I think it is the best-run and the kindest party of them all. And the music soars. I will have more to say and to show about this in future. Right now I am simply grateful that the AJP exists, and exists so beautifully. I introduce this to suggest that Marty’s newest band title has less to do with fruit or the men and women who harvest it for us than with his own private comedy, although I could be wrong. Surely MARTY GROSZ AND HIS “UP YOURS!” BOYS would have looked poorly on the marquee, although Jazz at Chautauqua has no marquee. 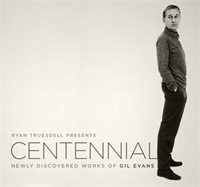 But to the music, recorded on September 18, 2011, at Jazz at Chautauqua, music that has no hidden imputations: it’s just lovely inventive jazz. Surrounding Marty, the Players were Duke Heitger, trumpet; Dan Block and Scott Robinson, reeds (Marty’s “Hot Winds”); Bob Havens, trombone; Rossano Sportiello, piano; Frank Tate, string bass; John Von Ohlen, drums. In this brief set, Marty chose not to sing but showed off his talents as a shape-changing arranger / recomposer / bandleader. One thing he particularly likes is to offer material in new stylistic guises — moving songs slightly out of their expected stylistic niches (as he’d done in his BIXIANA set, which I’ve also posted). And aside from ROSE OF THE RIO GRANDE, I think these songs and arrangements are new for Marty — at least I don’t recall hearing them frequently. Marty is such a splendid arranger: his charts offer soloists space amidst nifty ensemble passages that show off varied voicings, the lead being passed around. It’s the very opposite of one chorus in — solos — a jammed ensemble out, the formula for many bands. And against these shifting backgrounds, the soloists shine so brightly! It’s fitting that Marty should reference THE ALCHEMIST. He is one. For me, one of the many rare pleasures of Jazz at Chautauqua has been the opportunity to savor the playing of Professor James Dapogny*, known as Jim to his intimates. He is an unforced orchestral pianist — which means he hasn’t learned the Official Wallerisms from a book. Rather, his romping style summons up Joe Sullivan and Frank Melrose, Earl Hines, Jelly Roll Morton, and James P. Johnson. And a close listener will notice that his chords are voiced imaginatively, his often advanced harmonies show that his listening doesn’t stop at 1935, and his left hand is a romping marvel. Often he is part of wondrous rhythm section with Marty Grosz, Arnie Kinsella, and Vince Giordano — able to move mountains in the most engaging way — but Dapogny can rock the place all on his own. And he has. But I take particular pleasure in watching and listening to him as a band pianist — giving soloists and the ensemble just the right push with ringing chords and tremolos, rocking bass lines, without ever demanding that we pay attention to him instead of them. He’s done this on records for some time now as leader of his own Chicago Jazz Band. In addition, if that was not enough, he’s also responsible for the standard published edition of Jelly Roll Morton’s piano music and scholarly work that resulted in performances of the one-act opera created by Johnson and Langston Hughes (now there’s a collaboration!) called DE ORGANIZER. Dapogny is also a wonderful arranger; his versions of classic and obscure jazz songs have their own ebullient rock, no matter what the material or the tempo. Two years ago at Jazz at Chautauqua, he and Marty Grosz co-led a set, alternating arrangements and songs. The piece de resistance, as far as I was concerned, was their joint version of an otherwise unknown Fats Waller song, CAUGHT — Marty’s arrangement envisioned the composition as a bump-and-grind growl; Jim’s lifted the tempo into a jaunty rock. The performance stretched out to ten minutes, and it was a marvel. At this year’s Chatauqua, Dapogny and Grosz again shared the stage: Marty began with a heartfelt tribute to singer Red McKenzie, featuring his HOT WINDS — a noble, nimble, and perhaps nubile quartet of Scott Robinson, Dan Block, Vince Giordano, and himself. Then Dapogny took over, adding Jon-Erik Kellso, Dan Barrett, Andy Stein, and Arnie Kinsella, creating electrifying and life-affirming music. It was, he said with a grin, fine material to begin with — every song written by a pianist! All praise should go to the masterful professionals you will see below: each one of them reading charts he’d never seen before. They began with James P. Johnson’s version — in his own way — of Schubert’s An die Musik — a paean to the joyous powers that notes and tones have, AIN’T CHA GOT MUSIC?. The churchy verse gives way to serious swinging (there’s a wonderful Thirties record of this by Henry “Red” Allen) with Marty preaching the sermon. Then, a mournful but rocking composition by Alex Hill, one of jazz’s nearly-forgotten heroes, dead before he had reached his middle thirties, DELTA BOUND. I had never heard the verse — and could listen to that trio of Kellso (muted), Barrett (muted), and Block (commenting sweetly) all day. In his brilliant solo, Dan Barrett summons up a whole Harlem trombone tradition, with a series of comments that reminded me so much of the Master, Vic Dickenson. Andy Stein’s melody statement, front and back (on baritone) reminded me that Ellington had recorded this — with space for Harry Carney, of course. I didn’t know that the next selection had been written by pianist J. Russell Robinson, who had links to the Original Dixieland Jazz Band; I associated it with Edythe Wright and Tommy Dorsey’s Clambake Seven: SWING, MR. CHARLIE! For this performance, Scott Robinson steps in — and instead of a vocal chorus, the band returns to the verse, in true Thirties style. Although Scott stands in front of Marty during the latter’s chorus, you can see the action, reflected in the shiny side of the grand piano — an accidental bonus. Then, there are glorious horn solos and a celestially rocking ensemble that suggests a Sunday afternoon jam session at Jimmy Ryan’s, circa 1942. Charles Peterson would have loved this band! I find myself watching these videos over and over, each time finding something new to appreciate. *”Professor,” in Dapogny’s case, refers to his genuinely illustrious academic career in the Department of Music at the University of Michigan at Ann Arbor. But, by a twist of linguistic fate, that was the title given to the New Orleans pianists who played rags and blues in the bordellos: Dapogny’s music would have impressed these low-down pioneers as well: he’s surely got music, as the lyrics say.